February's almost here, which to the majority of us in London means grey and rain and blech. But at least we have Valentine's Day - or should I say, Galentine's Day? An excuse to drink lots of vino, eat heart-shaped chocolates and watch Fifty Shades Freed with the girls - which is exactly what I plan on doing this year! 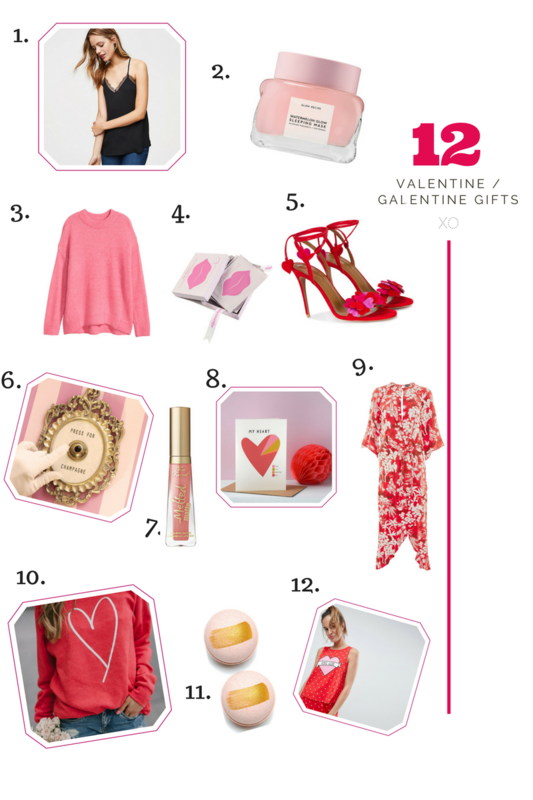 Even though I don't particularly like celebrating good old "V-Day", I do love a cheesy card, lace cami or new lipstick - but these things should by no means be restricted to a certain day of the year. But with Valentine's Day right around the corner, romance is in the air... so I've felt inspired. Will you be celebrating with the girls or with your loved one this year? Either way, I hope you have a lovely 14th of February!